Hello polished world! I'm so excited for today's post! Reason being, it is a collaboration with my first ever Nail Artist of the Month, CaseyLane Loves Polish! Miss Casey is one of the nicest girls out there, and I'm so happy that we have become friends! Since both of us are slightly obsessed with nail polish, many of our conversations revolve around nail art and new ideas. 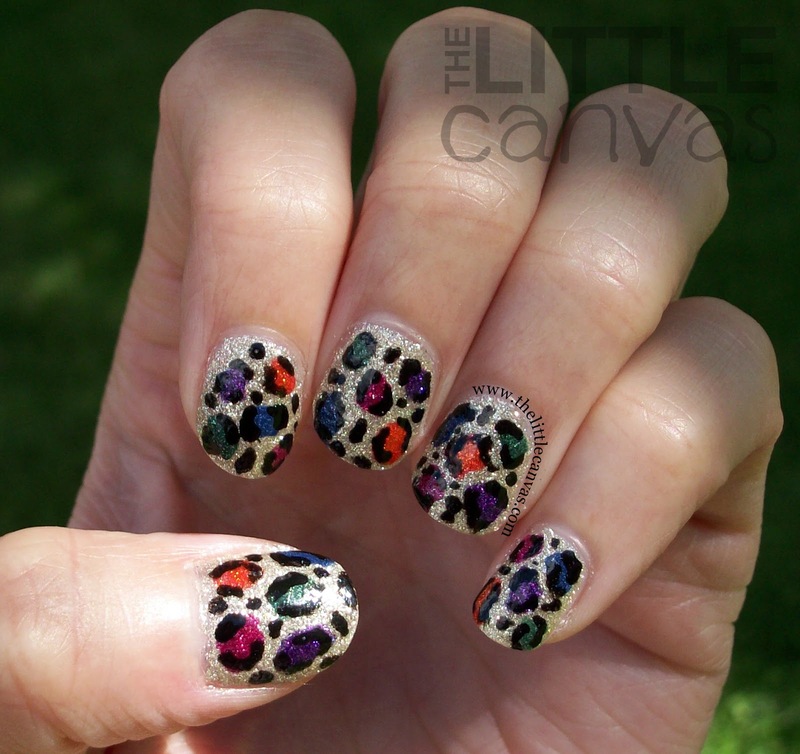 This manicure we are about to bring you today in our collaboration post was Casey's idea. 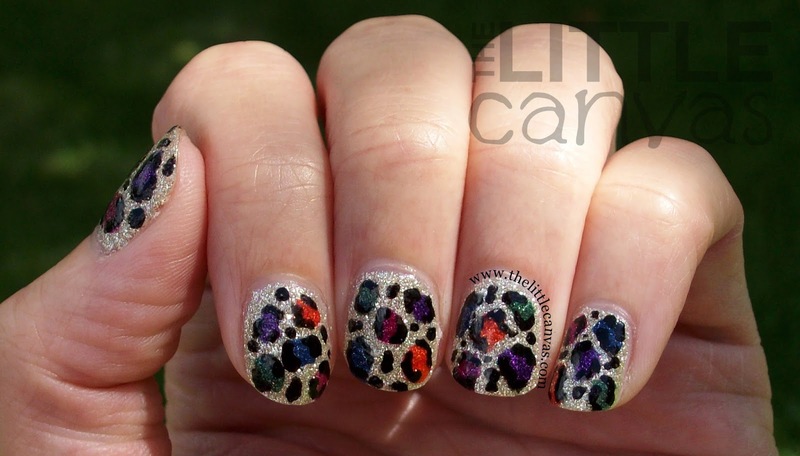 The other day, Casey sent me an e-mail with a photo of her nail art wheel with a gorgeous Zoya Pixie Dust leopard print. 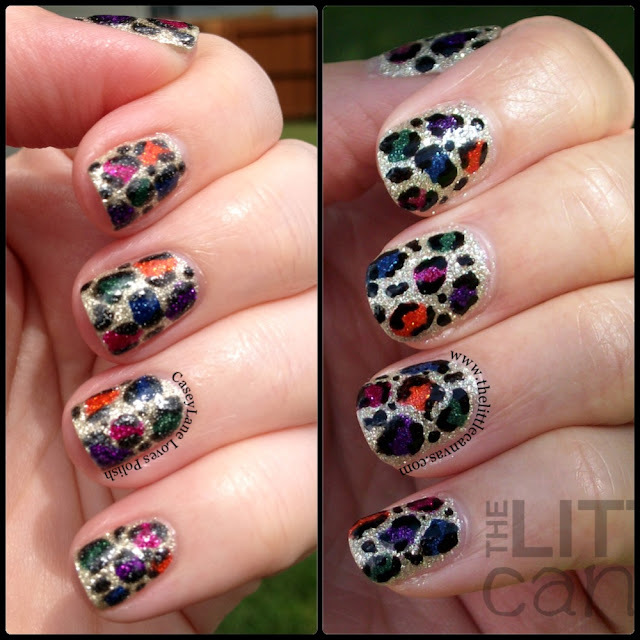 She had yet to see another blogger do a Pixie leopard print, and neither had I. As soon as I saw the picture, I responded with the idea of a collaboration since I was so in love with the look and I wanted it on my nails too. Seriously, it's so pretty. Originally, we were going to do two colors, but then after I played around with my Fall colors, I suggested that we use all of the Pixies. I'm LOVING how they turned out. Let's take a look! Cute, right? To get the look, I started off with 2 coats of Tomoko. When it was dried, I added the colored dots using a dotting tool and the other Zoya polishes. After that was dried, I outlined the spots with a nail art brush. In the blank spots, I added the extra dots. I decided to add a top coat, which was the best decision in my life. It made the manicure sparkle beyond belief! I couldn't stop looking at my nails in the sunshine! Now, let's take a look at Casey's manicure side by side with mine! Instead of using a cream black polish to outline the dots, Casey used another Pixie Dust. 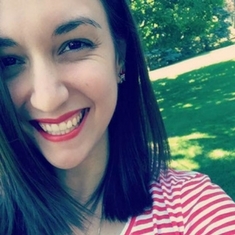 Head on over to her blog to check out her post!!!! What do you think? 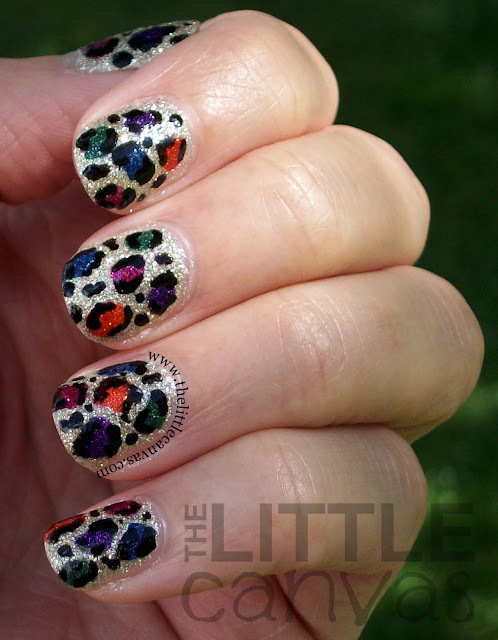 Loving the Pixie leopard print? Casey, you were brilliant for coming up with this idea!! Thank you so much for allowing me to copy it and do a collaborative post!